To a sweet tooth, there is a particular joy in desserts that set both your imagination and taste buds on a journey. Baking amazing cakes is an art form, and we’re lucky to have quite a few accomplished bakers in Malaysia. 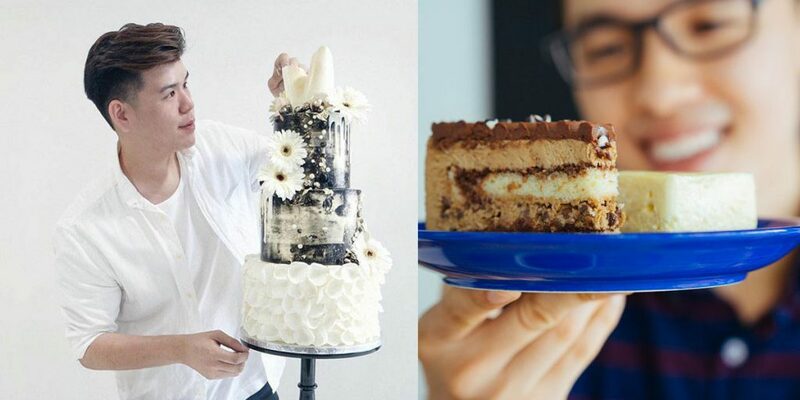 This time round, we spoke to “Male-aysian” bakers who have devoted their lives to the art form and ask them that very question. What’s your favourite cake that you’ve ever baked? 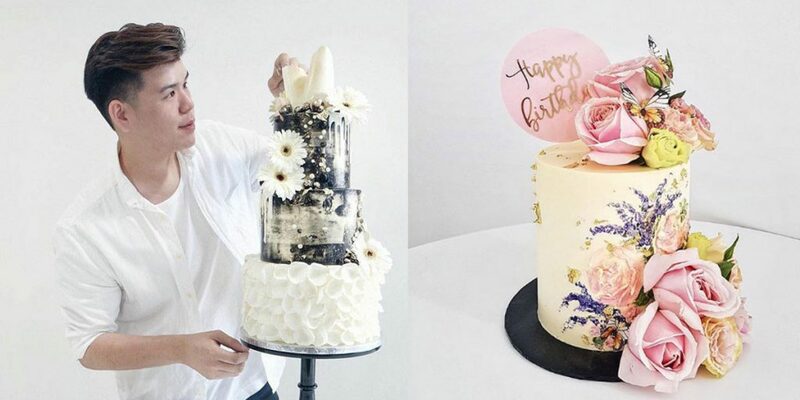 Chances are that you’ve chanced upon Shaun Teo’s cakes on Instagram. This is especially true if you’re the sort to constantly look up pictures and videos of desserts on the app. The 26-year-old chef has been baking since he turned 18 and this year would mark his 8th anniversary in the industry. Shaun received his training at the Ming Chuan University in Taiwan and when he returned to Malaysia, started out his career as a pastry chef. As with any dessert chef, picking a favourite out of all his creations is next to impossible. Shaun shared, “To be honest, I don’t have any favourites. Each and every cake or pastry I’ve made are uniquely designed and curated exclusively for my customers. Most of the cakes I make are made-to-order”. Still, if he had to choose, it would be his hand-painted buttercream cake in terms of its design. “The reason why I enjoy crafting these is because I can create whatever design that I like and it won’t be the same each time because it’s hand painted,” he said. Shaun divulged that there are exciting plans ahead for Shaun Teo Creations. “There is a HUGE one on the top of my 2019 to-do list which is going to happen real soon and I’ve been working on it for the past couple of months,” he said. The big surprise is none other than his very own cafe and studio set to open some time in Q2 of 2019. If you’ve always drooled over Shaun’s cakes on Instagram, this is your chance to indulge in them. Check out Shaun’s creations here. 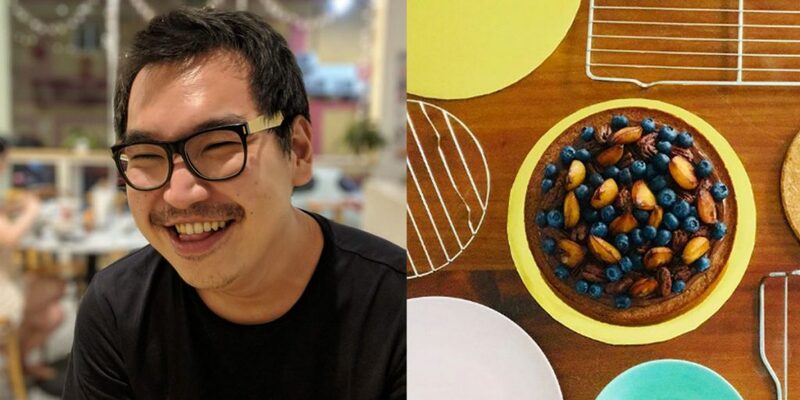 Edwin has been baking full-time for the past 5 years and he received his training from Taylor’s University where he did a Diploma and later, a degree in culinary arts and food service management. “My favourite creation to date are my macarons. The process of making, baking and watching the shells rise make me feel fulfilled and satisfied. It certainly requires a lot of practice to produce consistent pretty shells! Besides, the most fun part would be filling these shells with various creative flavours that you can think of! 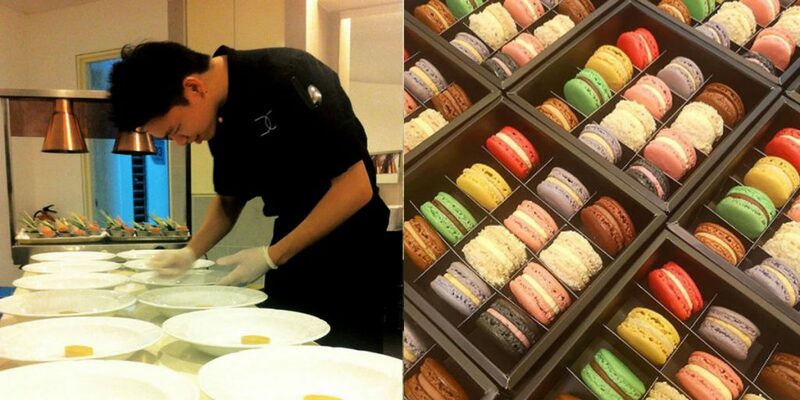 There’s so much room for creativity when it comes to making macarons which I, myself, have yet to explore too,” Edwin said of his favourite creation. Elevete is looking to launch their new dessert table series in the near future. The packages that they will be offering will accommodate between 20 pax to a whopping 500 pax. The desserts include petit fours such as macarons, cupcakes, small bites cakes, tarts and designer cakes. Check out Edwin’s creations here. Tao’s cake journey hadn’t been a straightforward one. After all, he took a detour from a 10-year career in the bank industry. His love for food was what led him to baking cakes full-time. He wound up going back to school, where he earned his Diploma in French Patisserie after a year in Paris’ Ferrandi School of Culinary Arts. He also interned under Frédéric Cassel, the chef responsible for coaching that year’s group of French chefs to victory at the World Pastry Cup. “My hazelnut burnt butter cake is a personal favourite that I gravitate to every time I am dying for some cake. It’s made of ground hazelnuts and burnt butter, topped with salted chocolate ganache, sautéed pears, praline pecans and blueberries. It’s a rich treat with a salty-sweet edge — an “adult Nutella”,” Tao shared. 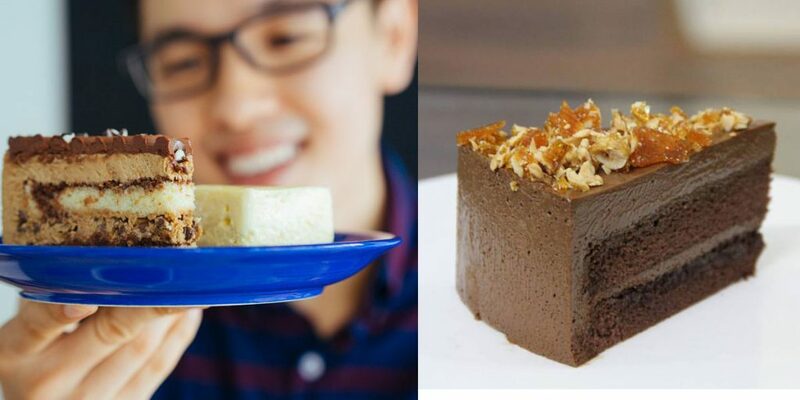 Recently, Tao and his team begun baking mini cakes as a way of forcing themselves to play with new flavours and ingredients and they now offer a celebratory box of 4 mini cakes with surprise flavours. What’s next for TaoBakesCakes? Private dessert tasting sessions. “We’d love to have guests over for tasting sessions—a few hours among foodies with a parade of desserts and drinks, what would be better than that?” he said. Check out Tao’s creations here. While Ming Ai does not have an outfit of his own, he is an award-winning chef, with his team having won the World Pastry Cup competition. The chef started from humble beginnings where he worked in a local bakery shop in Kuching. He soon learnt that the little bakery wasn’t enough to teach him all he needed to know about baking. Henece, Ming Ai decided to build on that passion by receiving training at the Academy of Pastry Arts. “My favourite creation is the Le Papillon-ice cream cake. I like the flavour and I created this cake for the Pastry World Cup 2019. This cake helped me score high points and it earned the runner up position in the ice cream category,” he shared. Considering how the team spent 6 months refining the flavour and design, it was fulfilling for him to earn that accolade. As of April, Ming Ai will be crafting 3 ice cream gateau creations for Tanuki- xiaobycrust. Check out Ming Ai’s creations here. Eddie first began baking cakes because of his mom. His doting mother would cook daily for the family despite her fatigue. Hence, for Mother’s Day one year, Eddie and his siblings decided to cook for her instead. His passion for cooking and baking was cultivated from then, when he would lovingly “kacau” his mom to allow him to stir or cook in the kitchen. He has been baking for the past 5 years and received his training from the KDU culinary school. He specialised in hot food but began a baking business instead to fuel his love for cakes. In the near future, Caketella is planning to venture into more alcoholic ice cream cakes which is not an entirely new field for Eddie. After all, his favourite dessert that he’s baked thus far is Caketella’s signature Bailey’s chocolate mousse cake. “It was a birthday cake for a friend. I had a ‘masak masak’ session with a close baker friend and ended up with our signature cake which has alcohol in it,” he shared. Check out Eddie’s creations here. Wei Loon has been in the pastry line for about 13 years, starting off his career in the kitchen of a hotel. As of now, he’s with the Academy of Pastry Arts. Recently, as part of the winning team in the World Pastry Cup, Wei Loon constantly refines his work by attending pastry classes and taking master classes with world-class chefs. 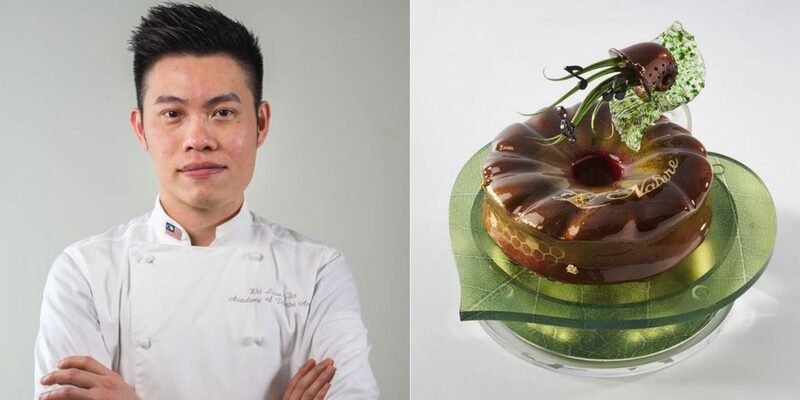 Wei Loon’s favourite creation would be the “La Nature” which is the award-winning chocolate dessert he created for the latest edition of the World Pastry Cup. 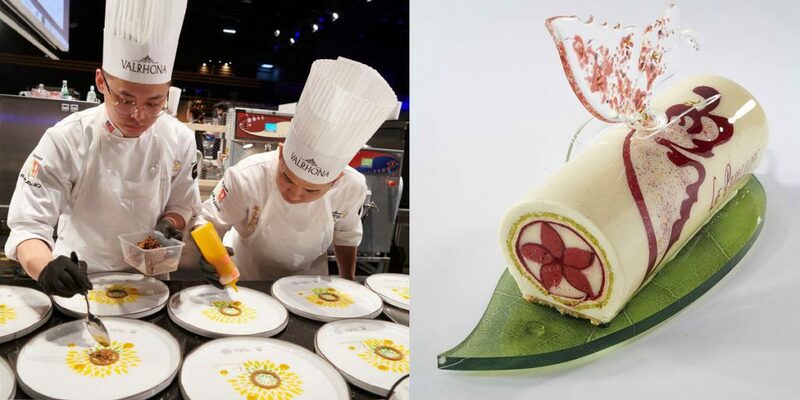 “I loved it so much not just because this creation helped me to achieve my goal of being the champion, but also because it represents my own style and philosophy of pastry,” Wei Loon said. Constantly looking for new ideas and perfecting old techniques while keeping the flavour and texture of the dessert intact has always been Wei Loon’s goal and he achieved that with “La Nature”. On top of lecturing and baking at the academy, Wei Loon also receives plenty of invitations, both overseas and within Malaysia, to teach. The company with which Wei Loon is currently based at is also looking to launch their brand of pastry shops in the coming year. Hence, that is where Wei Loon sees his creations being ideally displayed. Check out Wei Loon’s creations here.